Edzell, one of Toorak's grandest mansions, is strikingly located on an elevated site on the southern bank of the Yarra River. It was originally designed by the architects Reed Smart and Tappin in 1892 for James Cooper Stewart. Edzell is a red brick house with extensive half-timbered gabling, Marseilles-pattern tiles and terra cotta ridging, along with two asymmetrically placed turretted corner towers facing the river. Internally, the dining room features panelled timber ceiling and dado, which were executed in New Zealand rimu, embossed floral pattern wall paper, overdoors and a panelled timber mantel and overmantel with carved enrichments. In 1917 the noted architect Walter Richmond Butler designed extensive but sympathetic external additions and a garden for the building's new owner, George Russell. A large ballroom was added, and this continued the Tudor manner with its panelled ceiling and dado. 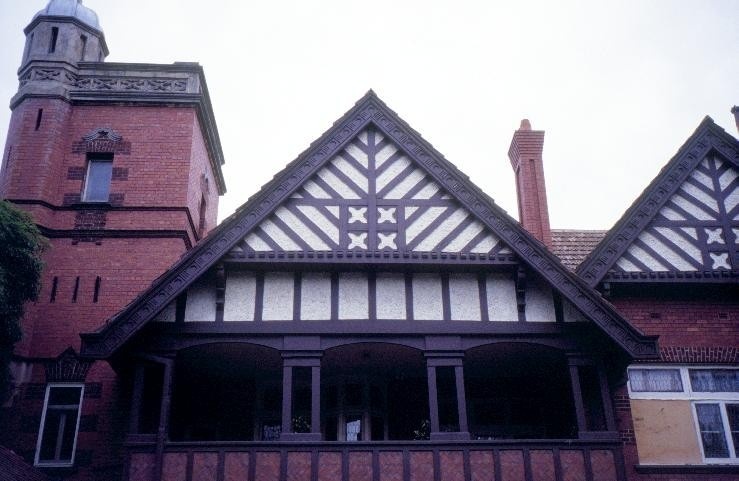 The main verandah was replaced with a half-timbered patterned brick balustrade and on the south the original gables were extended in the same pattern over a new brick verandah. Similarly, the entrance porch was built on brick piers. In 1935, under the ownership of Rose Krantz, the architect Edward Billson designed the subdivision of the interior into two maisonettes. By 1947 it had been divided into six flats. This involved superficial internal alterations and a new stair. Edzell is of architectural historical and aesthetic significance to the State of Victoria. 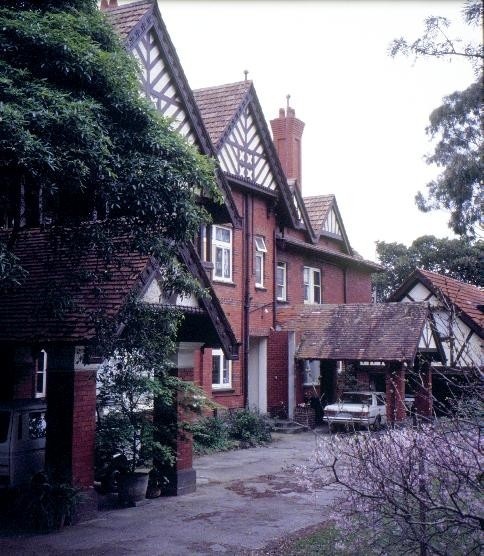 Edzell is of architectural significance as a notable example of a style of architecture that pre-figured the maturation of Australia's own Federation style in the early decades of the 20th century. Several of the romantic revival styles popular at the end of the 19th century can be detected in Edzell's imposing form. Elements of English Queen Anne Revival, Elizabethan and Old English styles were incorporated in the original design, but perhaps Edzell's chief architectural significance is as a precursor of the later Federation style. Edzell is of architectural significance as an expression of the work of the prominent architects Reed Smart and Tappin, Walter Butler, and Edward Billson. Reed Smart and Tappin was one configuration of an extremely influential and long-lived series of architectural partnerships featuring Joseph Reed, one of Melbourne's most distinguished architects, who was responsible for numerous important buildings, including the Public Library, Melbourne Town Hall and Rippon Lea. Butler was a prolific architect with a particular interest in Old English and Arts and Crafts styles. However, perhaps his best known creation was the Spanish Mission style Mission to Seamen in Flinders Street. Billson, Walter and Marion Griffin's first articled pupil and the first graduate in architecture from the University of Melbourne, was important in the spread of the prairie style. 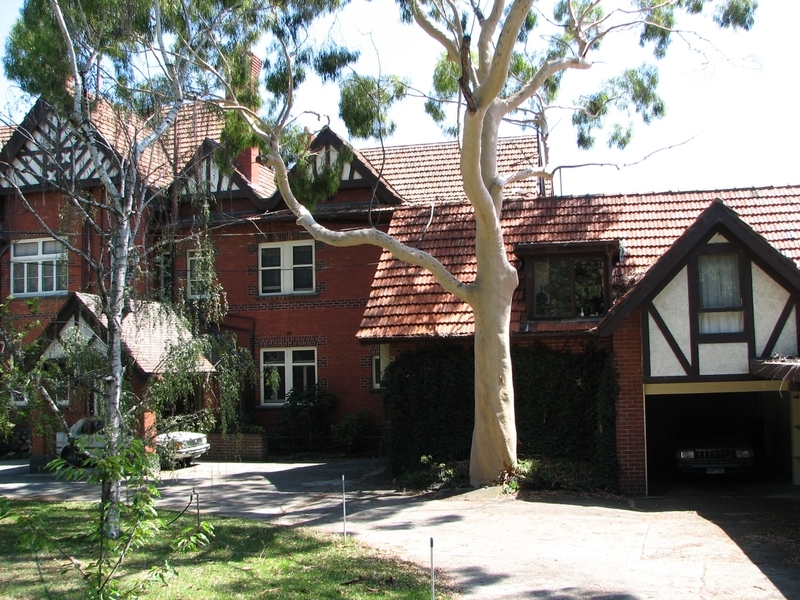 His Revell in Toorak is one of the best surviving examples of the style. Edzell is of historical significance for its associations with several prominent Victorians and as an illustration of the lifestyle and tastes of the late-19th century Melbourne elite. 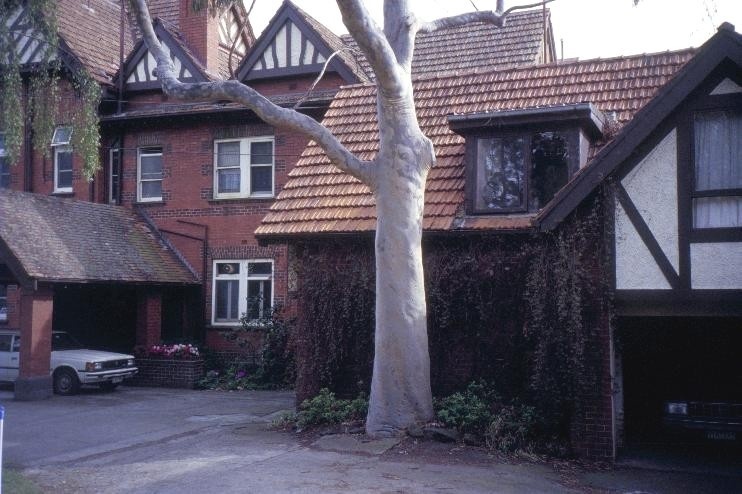 The house's first owner, James Stewart (1836-1919), was a prominent Melbourne lawyer, alderman of the Melbourne City Council and former Mayor (1885-86). Subsequent owners included George Russell and the pianist Jascha Spivakovsky. During the latter's residency, many famous musicians, including Nellie Melba, gave concerts at Edzell. 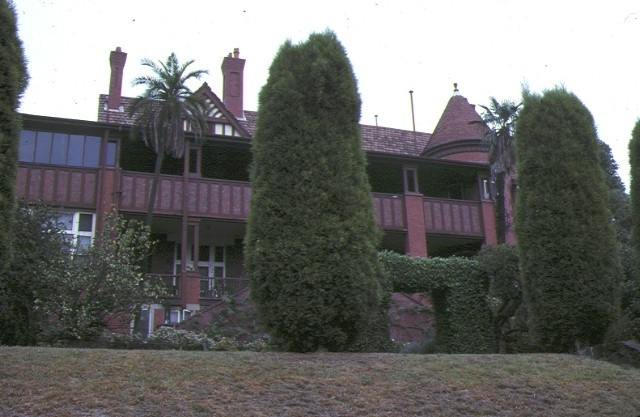 The romanticised English theme of the house's architecture was common in houses of the establishment at this time, epitomising respectability and loyalty to the British Empire, particularly in the face of the late 19th century republican movement in Australia. 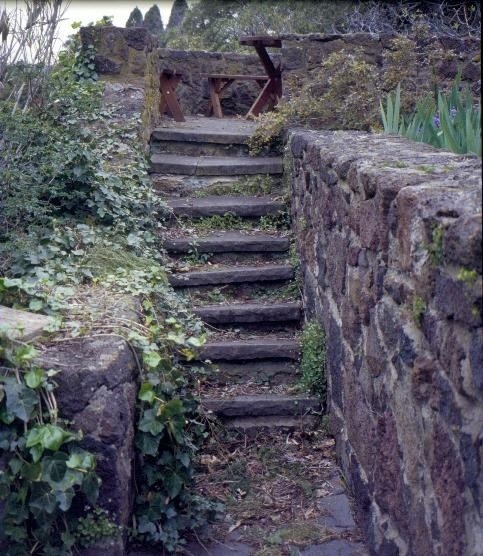 Edzell is of aesthetic significance for its site and garden. The house is located on an elevated site which is one of the most outstanding on the south bank of the Yarra River. Its impressive outlook is complemented by an extensive and lush garden, which was designed by Walter Butler, the architect of the first modifications to the house. The gardens remain a now-rare example of mansion grounds still largely intact. The gardens of most other large 19th century houses have either been redeveloped or substantially reduced in size. 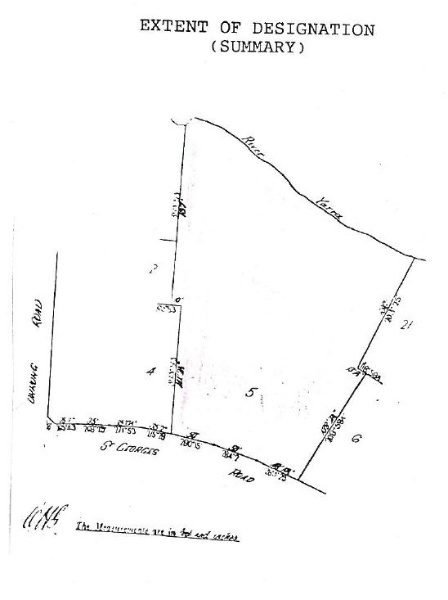 to the extent of all of the buildings and all of the land described on Certificate of Title entered in the Register Book Volume 7476 Folio 019 according to the plan held by the Ministry for Planning and Environment. 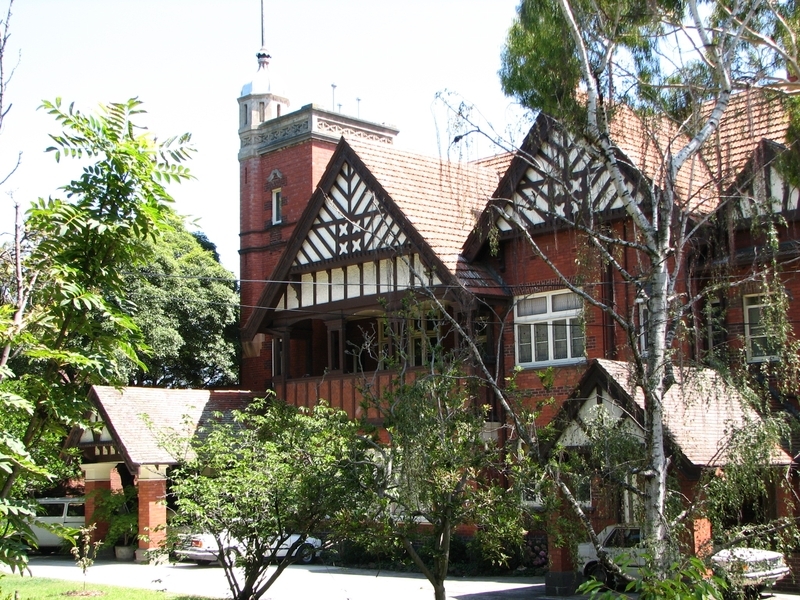 EDZELL WAS ORIGINALLY DESIGNED BY Alfreed Smart of ARCHITECTS REED, SMART AND TAPPIN IN 1892 FOR JAMES COOPER STEWART (1836-1919), A PROMINENT MELBOURNE LAWYER, ALDERMAN OF THE MELBOURNE CITY COUNCIL AND FORMER MAYOR (1885-86). IN 1917 THE NOTED ARCHITECT WALTER RICHMOND BUTLER DESIGNED EXTENSIVE BUT SYMPATHETIC EXTERNAL ADDITIONS AND A GARDEN FOR THE BUILDING'S NEW OWNER, GEORGE RUSSELL. SUBSEQUENTLY, UNDER THE OWNERSHIP OF MRS ROSE KRANTZ THE ARCHITECT EDWARD BILLSON DESIGNED THE SUBDIVISION OF THE INTERIOR IN TWO MAISONETTES DURING 1935. BY 1947 IT HAD BEEN DIVIDED INTO SIX FLATS. In 1948 the house passed into the hands of the Spivakovsky family.